Hemayel promised to be the next great man in the history of Curacao. 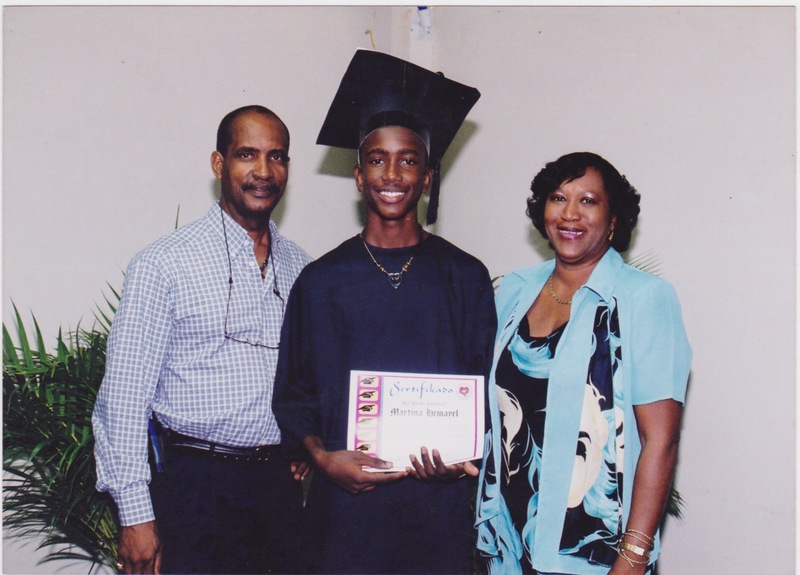 A tragic car incident in 2011 ended his life before he reached his full potential and before he could see the big change in the cultural emancipation of Curacao he longed for. Leaving his dreams for our young country in his books and in the memories of those who he touched in his short life. For us Hemayel represents a movement of the next generation of citizens of Curacao who find strength within themselves, their own language and culture, instead of defining themselves by either idealizing or rejecting the Dutch culture and way of life. We are a part of that generation working on the development of the cultural emancipation of our Island. Making efforts to intesivate art, business, cultural expression and emancipation on our island. We know that being small can limit us in a lot of aspects, but we do not need to focus on that. We focus on our fellow people working on the same goal and if our base may become small we just look around at our Caribbean, South- American, Dutch our every other neighbor for help or partnership. We’ve seen how our parents generation always thought that being a small Island and young culture makes you secondary. They’ve arranged their life and political system on this thought, and most of the time they do not even realize their dependence. A dependence that has an inhibitory function rather than a developing function. Learning about the story of Hemayel Martina, the young poet who celebrated the culture and language of his and our Island, Curacao, we felt a connection right away. At the age of 21 he already won and organised many poetry talent shows, had published a book in our native language and had a very strong calling to raise the popularity of Papiamentu. His strong motivation to change the way the people of Curacao view their heritage, culture and language: Papiamentu, makes him so inspiring. His poems not only celebrate the beauty of the language itself, but often talk about Hemayel’s admiration and love for the culture of Curacao and of his pride of the island’s heritage.